I’m a teacher and sometimes I loose my cool. It’s not pretty. I admit it and of course, there’s a story coming. Last year, I’d had one of those days that I mentioned in yesterday’s post. Just no good. I didn’t love on my kids enough and I didn’t set an example. I was grumpy and irritable and my least favorite version of myself. The next day there was a fresh out of the fridge, perfect 12 oz. can of attitude adjustment sitting on my desk with a hand written note. This should help today be better. I think you forgot to drink one yesterday. Okay, the letter didn’t end that way, but it should have. My name is Emily and I’m addicted to Diet Coke. I know, it’s a sad state of affairs. It really is, but I NEED Diet Coke in my life. I do. At least I think I do or thought I did or hope I’ll thought I did soon. What? Yep, I think I’m giving it up. No, I AM giving it up. I AM. There are five cans of heaven left in my fridge and I’m not buying more. I’m not. I am stronger than Diet Coke. I am. I am. I am. Goodbye, my love. If you start smoking, it might help you forget about the Diet Coke. Awesome idea, Stephen. I’ll take it into serious consideration. I love it! Diet Coke addiction is seriously more prevalent than any of us addicts would like to admit… (I found you on Anne’s blog)… So, I was in Nicaragua on a mission trip last week and there were about four us DYING for a Diet Coke. Of course there its called Coca Cola Light. Not quite as good, but will do when desperate! And the can looks the same except for the Spanish. 😉 The third or fourth day of the trip, after working in the dirt under the 95 degree weather, we were presented with the best present ever: cold Coca Cola Lights– (and other sodas for the rest of the team). It was wonderful. Sad, pathetic, but wonderful to have a taste of home! Your student must really care about you. To not only notice but to take action. Very thoughtful… and convicting. okay, so i peaked around a bit… are you living in Colombia? I must admit, Cori, that it is in fact Coca Cola Light in Colombia as well and I assure you that it tastes doggone good! Definitely gives the real thing a run for her money! I love you but not sure I believe you. But, I do know that for the first time since you have been gone–I am glad that I will not be around to see the end result of this. Believe it, Anna! I’m down to two. (You better say a prayer for me.) And I wish you WERE here to see it! WHAT ARE YOU DOING? STOP RIGHT NOW. YOU NEED DIET COKE. I NEED DIET COKE. OMG, WAIT TILL THE DC-DRINKING FMS HEAR ABOUT THIS ONE. OK, I have swallowed my shock. You know the diet coke tastes really crummy over on this side of the planet so I’ve switched over to coke zero until I return stateside. But I will have you know that I don’t take a sip until at least 7 p.m., when I get home from work. That, in my opinion, is a step away from addiction. Coke Zero is so much better anyhow. And Vanilla Coke Zero is primo. See if Jacobo can smuggle some in for you. Or get a hammer and bang your pinky toe every time you think too long about DC. Then you’ll stop before long. I too am a teacher. 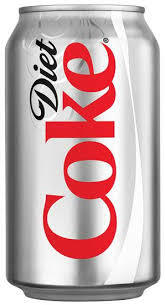 I too am addicted to Diet Coke. I will not be leaving it anytime soon. Don’t listen to these people, Emily…. STAND STRONG. Remember what I told you that day during lent. I personally think life is too short to live without thinks you love. It is like a little reward at the end of the day. It is like sweet tea when you’ve been north of the Mason-Dixon line. KIWI-STRAWBERRY propel for Rachel. It is like me saying I am never going to drink another venti white mocha from Starbucks!!! Who would ever believe that? Live for the small thinks in life that give you joy – that’s my motto.